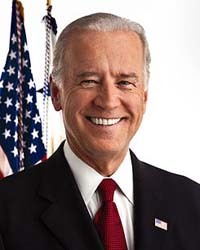 The day before GOP presidential candidate Mitt Romney visits Sun Valley for a high-profile fundraiser, Vice President Joe Biden will visit the home of a local supporter to shake hands and break bread with Blaine County Democrats. Biden will visit the valley on Thursday, Aug. 2, and is expected to eat, drink and make merry with Blaine County donors who have paid anywhere from $250 to $50,000 to be included in the event. Blaine County Democratic Chair Gini Ballou said the location of the fundraiser is not being disclosed for security reasons, but the address will be given to ticket holders upon purchase. The event's time has not been set, but organizers estimate that the late-afternoon reception—tickets for which range from $250 to $2,500—will begin around 3 p.m.
Attendees will be able to enjoy music, wine and hors d'oeuvres with the vice president. Purchasers of $2,500 tickets will have the chance to pose for a formal photo with Biden. The reception will be followed by the vice president's remarks and an "intimate" dinner during which Biden plans to spend time talking with individual guests. Dinner tickets begin at $10,000 a plate. Donors at the $50,000 level will be able to meet and welcome Biden personally before the event begins. Leni Eccles, spokeswoman for Obama for America and the Obama Victory Fund, stated in an email that seating is limited for both the reception and the dinner. Though the topic of Biden's speech was not available as of press time, Eccles said she is looking forward to the event. "The vice president is a knowledgeable, inspiring and engaging speaker," she said. "[He] can share his insights not only on the campaign, but the events of the first term and what lies ahead." According to the Federal Election Commission, the Obama campaign has raised $287,229 in Idaho during the 2012 campaign, compared to $970,147 raised by the Romney camp. Obama has done better in the Pacific Northwest, where he campaigned early this week, visiting Portland and Seattle on Tuesday. He had also been in Washington in May. Obama has raised $5.9 million so far in Washington, compared to Romney's $2 million. For more information on the Biden dinner, visit https://donate.barackobama.com/page/contribute/o2012-August2SunValley or call Ballou at 720-4347.